décor with a concrete level of performance. The tests carried out on SOUND are available upon request. SOUND was also tested in extreme conditions, such as high humidity levels and dramatic temperature changes. These certifications close the circle of guarantee certificates required for its use in public and private spaces, thereby confirming its status as a high-quality, environmentally-sustainable product with guaranteed results. The thermoforming process used to create the panels allows for the shape of SOUND to fit into a given space perfectly, defining high-performance acoustic areas through various application ideas: an alternating setup of the panels on windows, their use as wall hangings, or the creation of protected spaces are all made possible by the installation of the premade dividing wall model. SOUND is modular and can be made to suit all kinds of residential needs. 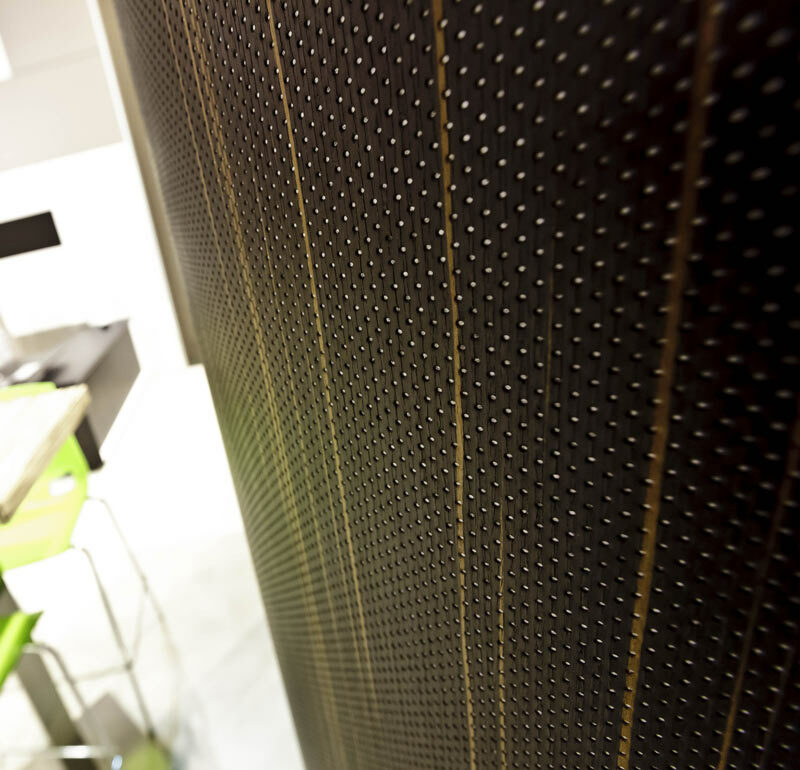 SOUND panels are useable in series when fixed with screws, hooks and double-sided adhesives. The ability to hang the product up makes it highly useable, ensuring that it is employed in a wide range of situations. The hooking mechanic allows for a bond that ensures that the panel is stable as well as quick and easy to move, thanks to the slot-based fixing system. The easy-to-install supports do not leave room for dust or pollutants to accumulate, ensuring that any maintenance is simple and highly accessible.